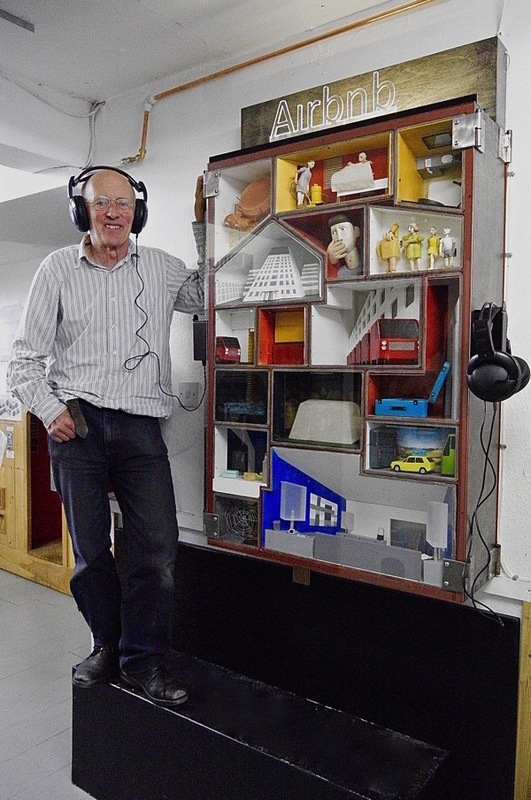 On a quiet Sunday morning in Holborn, I went along to visit the inventor Tim Hunkin at Novelty Automation, his magical arcade of handmade slot machines and automata just off Red Lion Sq, where he was installing his latest masterpiece. While peace prevailed in the empty streets, Tim was hard at work indoors, perfecting his AIR B’N'BUG machine. Inspired by the ubiquitous and controversial website that enables people to rent their homes to guests, and by an outbreak of bedbugs that occurred recently in Holborn, Tim’s creation is an animated diorama comprising a series of mechanised tableaux dramatising the comic adventures of a pair of bed bugs setting out to explore the world through AIR B’N'B. Once the machine was ready, I enjoyed the honour of being the first to savour its delights in advance of the grand unveiling next Thursday. Afterwards, Tim explained to me the genesis of his unlikely invention. “I had been watching a lot of German Expressionist films and I was thinking of different ways of using machines to tell stories, and I accidentally made a version of it when I was working at the Exploratorium in San Francisco recently. I was experimenting with making dioramas in shoeboxes with LEDs and I thought of putting several together. So I made a story to link these random boxes and put them inside a bigger box. I liked it but I thought nobody would take a cardboard box seriously. A while later, I realised I could build a machine that was like a page of a comic and each of the scenes could light up one after another. Then I was hooked! I was looking for a story and it materialised here in Holborn. The flat upstairs got infested with bed bugs. I got bitten and had an allergic reaction. Then a nearby hotel got infested as well and I was able to observe how they got rid of them. I must confess I have never stayed in an AIR B’N'B property, although I think it is good idea and I would stay in one. It is a phenomenon of our times. I was thinking about it because a lot of my friends rent out rooms and it seems to put them in a state of constant anxiety. It was a lot of fun to have an excuse to experiment with all the different visual ideas that are possible in this format. I collaborated with Paul Spooner who makes automata, he made our dream machine at Novelty Automation. I love working with him and we teach each other tricks. Once I had divided the space, I sent him some boxes to fill. He made all the carved figures, while I explored the use of video. It took much longer than I expected. I wrote a story at the beginning of last year and went down to see Paul. Then I set to work seriously in April and I tested it on Southwold Pier during last year’s autumn half term in October. I am not used to working on this tiny scale and there’s so much of it, I had to be systematic about how everything is connected. When I first got it on the pier, I hated it – it really didn’t work for me. So I left it for three months while I got on with other things and then went back to it with fresh enthusiasm. I simplified the story. An important part of my original idea was that the person using the machine was going to get bitten by a bug through the headphones. I just could not get it to work, because the headphones conduct so much sound that it distracted from the sensations. I tried building in a poking device and puffing air through the headphones too, but the noise of the machine is so intense that people did not notice. 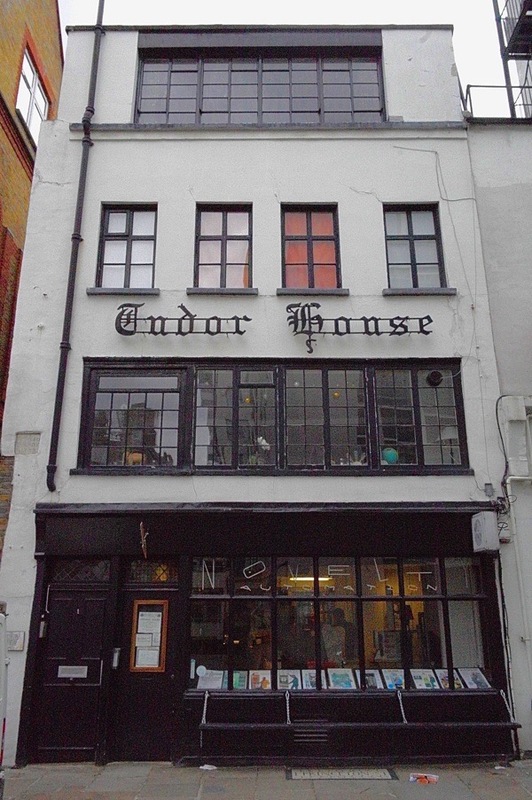 Novelty Automation, 1 Princeton St, Holborn, WC1R 4AX. Open Wednesday- Sunday 11am-5pm, with late opening until 8pm on Thursdays. Having endured the chaos of an Air B’n'B apartment in Barcelona recently (no electrics and blocked drains), I’m looking forward to seeing Timothy Hunkin’s version. When my son was small, how we loved watching The Secret Life of Machines together. Each programme ended with a thrilling view of exploding tellies. The man’s a genius.